I love my dogs, and I love playing with them, but even at age 8 Cosmo can be a little demanding. The Rat Terrier in him wants to play fetch for hours. He would play until I couldn’t throw the ball anymore. I always feel a bit guilty, because the high strung little guy really needs a ton of exercise and stimulation. This is where iFetch comes in. 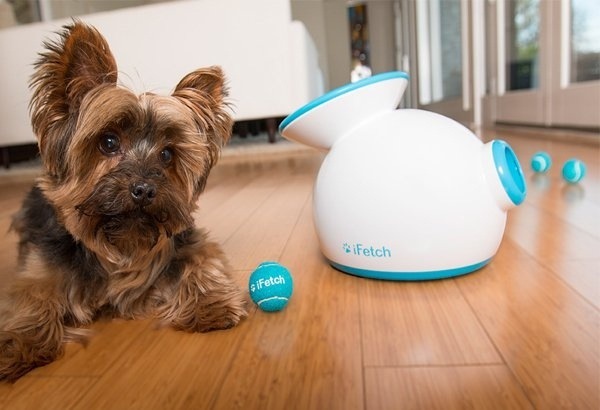 The iFetch is an automatic pet toy that allows your dog play fetching ball by itself. It’s pretty simple. Plug it in or load it with batteries, turn it on, drop the iFetch balls in the back, and watch your dog chase them down. 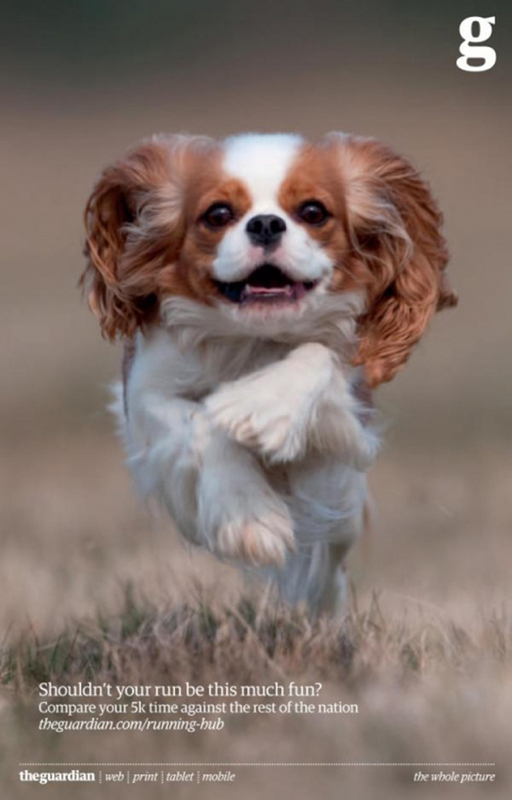 With a bit of training, and depending on your dogs aptitude, your dog can learn to load iFetch themselves. 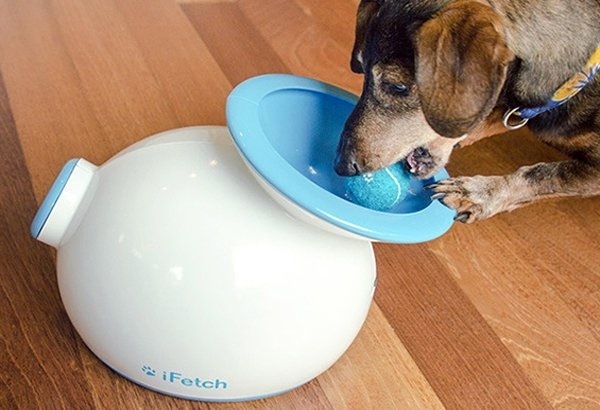 iFetch is designed for small to medium sized dogs, and uses special miniature tennis balls that are about an inch and a half in diameter. The robotic ball launcher offers up 3 distance settings as well to accommodate the size of your space, and your pups exercise needs. 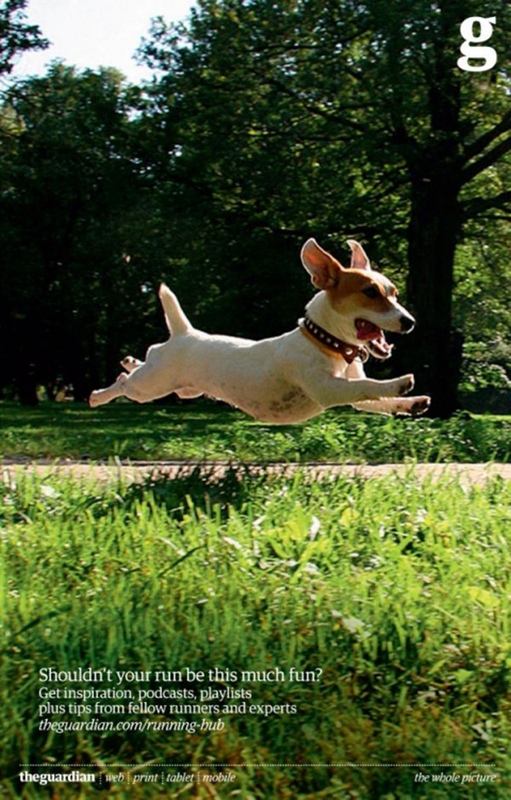 iFetch can be set for 10, 20, or 30 foot launch distances. iFetch also has a standby mode which keeps the device on, quietly waiting for your dog to drop a ball in the hoop and wake it for a play session. Posted in General and tagged automated, Canine, chase, dog toys, Dogs, fetch, Fun, iFetch, playtime on August 3, 2014 by Author. Menswear Dog, the Most Fashionable Dog in the World. 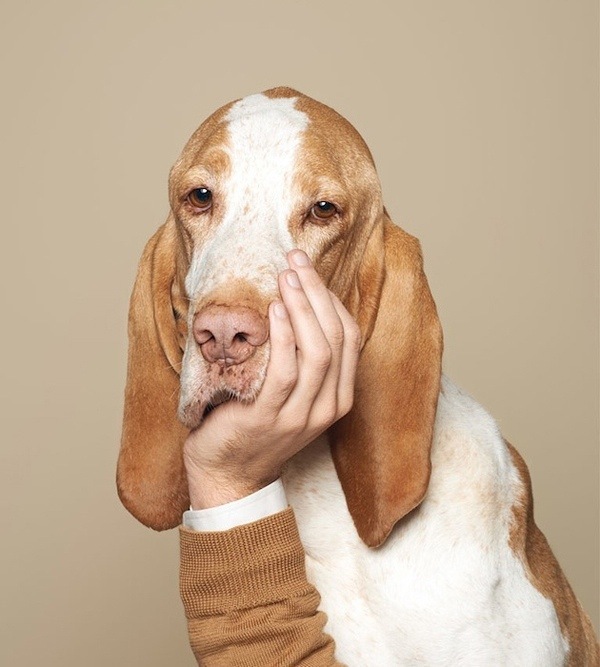 Menswear Dog is absolutely brilliant. How this blog escaped me for so long I have no idea. Watch the video below and then click through to experience the most fashionable dog on the planet. If your lucky you can be as fashionable as Menswear Dog. Posted in Video and Motion Graphics and tagged Canine, Dog, Dogs, Fashion, Menswear Dog, shiba inu on December 10, 2013 by Author. 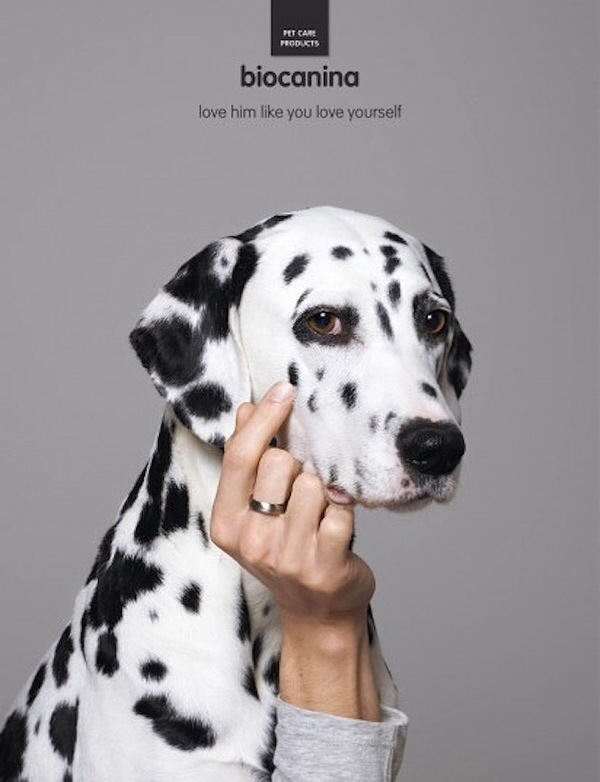 Love Him Like You Love Yourself. 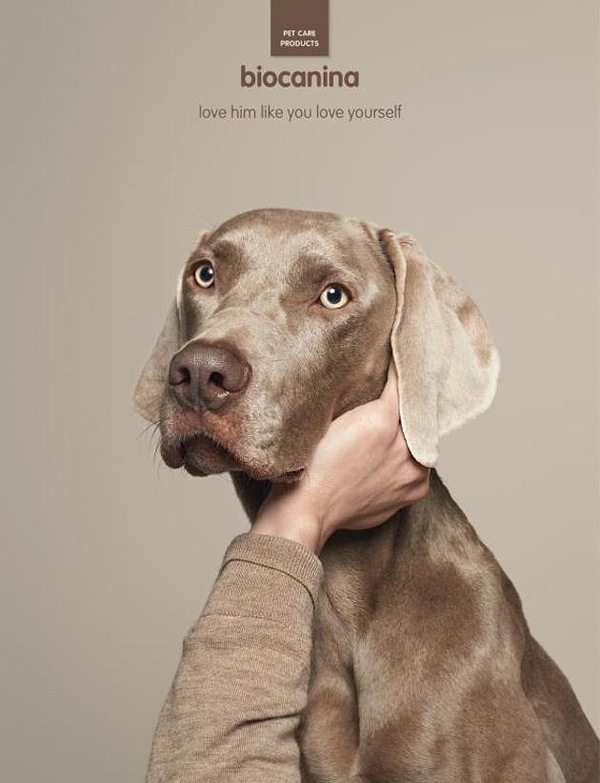 Biocanina’s Latest Print Campaign. They say that dogs and their owners tend to look alike. 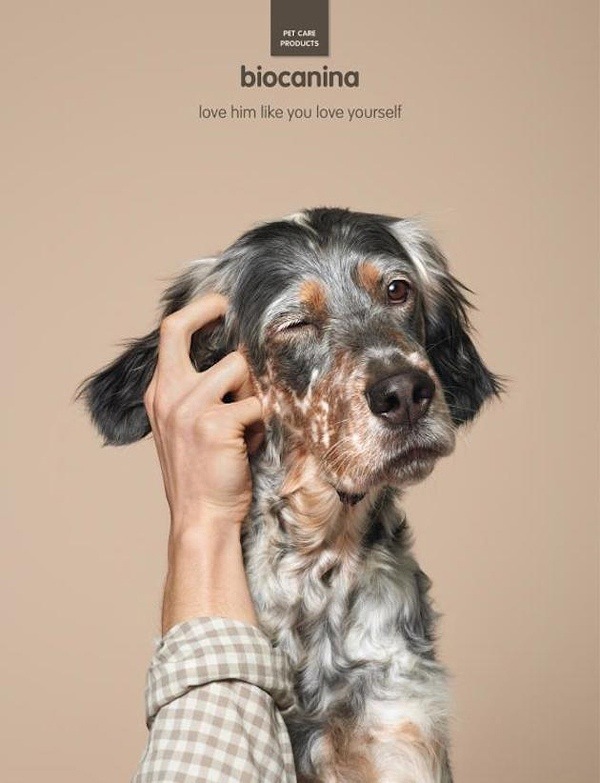 This print campaign from Biocanina plays off of that thinking with a subtle and simple approach, combining a single tag line with a clever image. 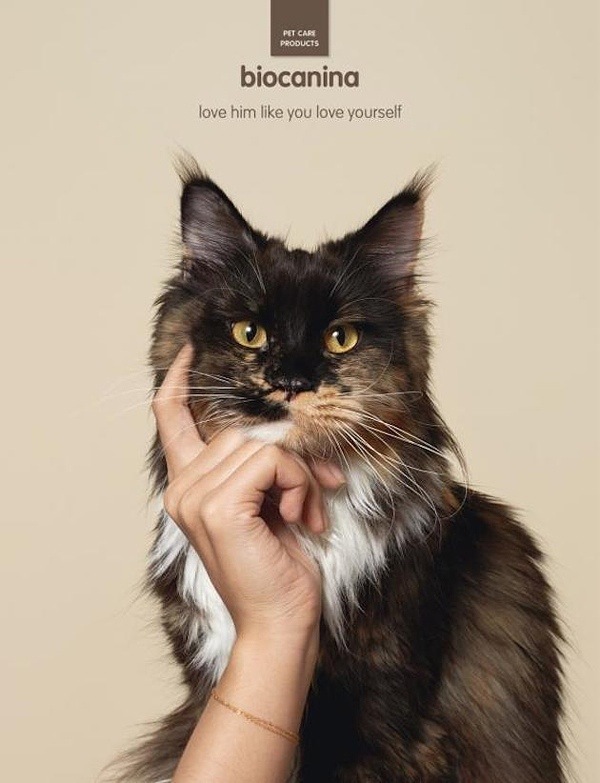 The copy “Love Him Like You Love Yourself” makes a clear point when combined with imagery that plays off of the emotional connection pet owners have with their furry friends. Created by Paris agency Leg, this is sure to be a winner. 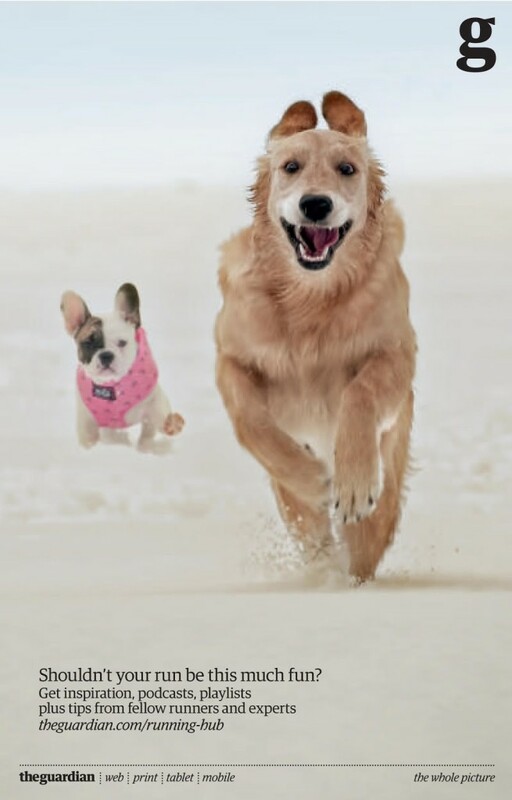 Posted in Advertising, General and tagged Advertising, Biocanina, Dogs, Leg, Paris, Pet Food, Pets, photography on November 9, 2013 by Author. What better way to start your work week off than a video of dogs wearing sunglasses? Hmmm, right now I can’t think of one, so here is a video from Diesel Eyewear featuring dogs wearing sunglasses shot in slow motion on a Phantom Flex. Directed by Tim Main & Joseph Dixon, this effects laden online spot is a nice piece of visual eye candy for your Monday morning. Posted in Advertising, Video and Motion Graphics and tagged Diesel, Diesel Eyewear, Dogs, Joseph Dixon, SFX, Slow Motion, Sunglasses, Tim Main, Video on August 12, 2013 by Author.